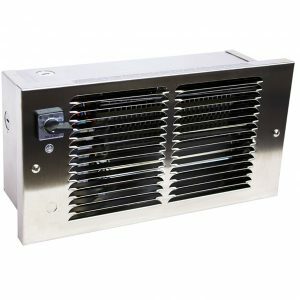 A heater unique to King, featuring the ability to choose the wattage needed. 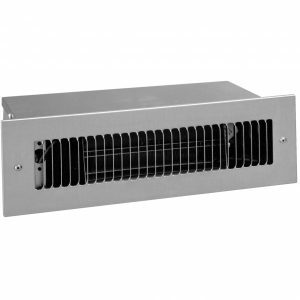 A heavy-duty industrial switch mounted on the grill allows quick selection of up to 7 different heat settings. Use where higher wattage is not required during unoccupied periods. 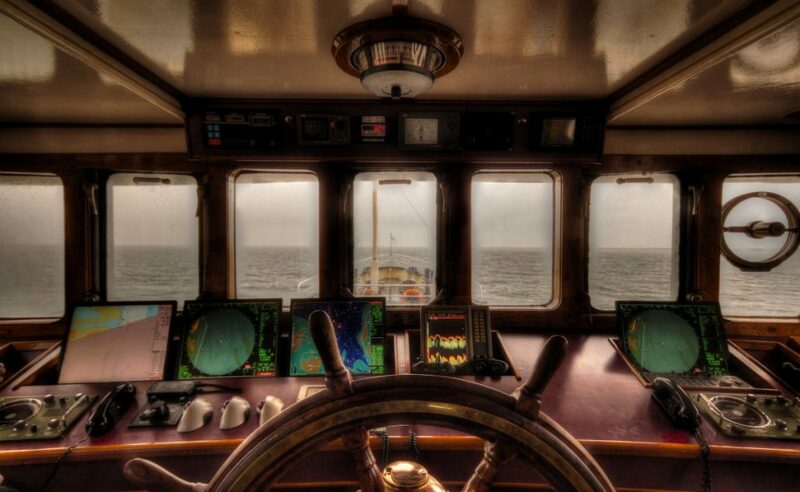 Typical installations are toll booths, motor home/RVs, pleasure craft and cabins. By providing air movement and dry heat, musty, moldy odors are reduced and interior fabric life is maximized. Utilizing a lower wattage provides winter freeze protection with the bonus of energy savings. 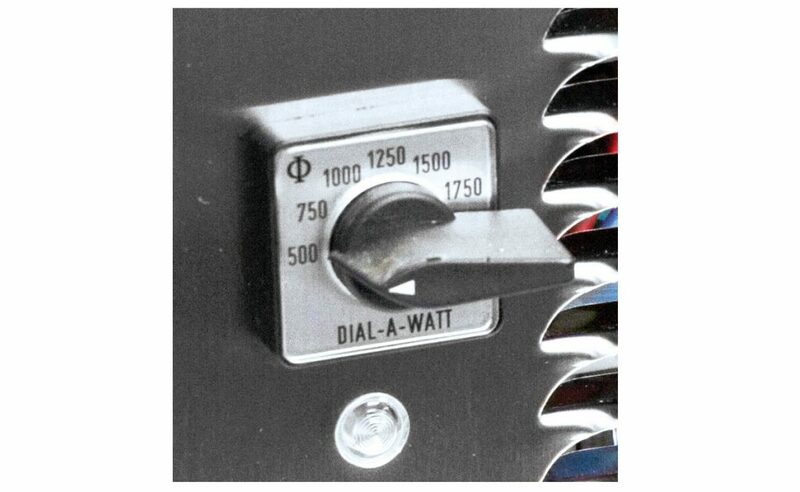 During RV use, the heater load (Amperage) can be adjusted to the receptacle or cord size. This prevents damage to plugs and receptacles due to overloading. During lay-up periods, wattage can be adjusted to the correct level. 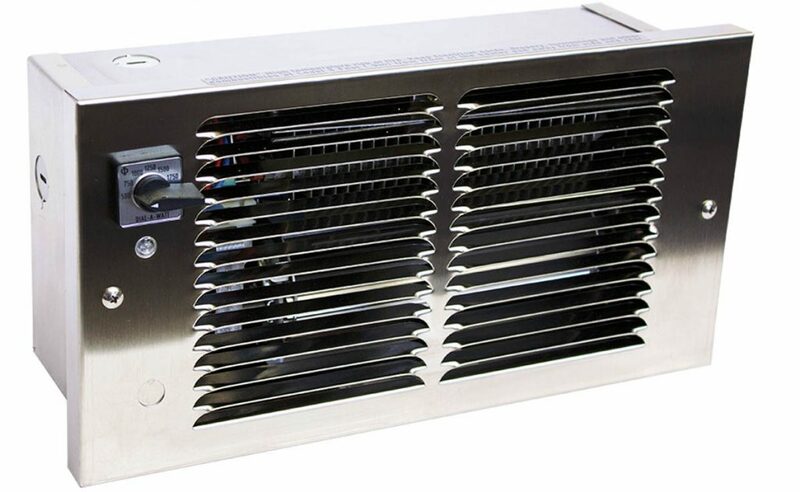 Quiet operating tangential cylindrical (squirrel cage) blower and commercial grade element make the Dial-A-Watt™ the heater of choice for people on the move. Quick and easy choice of 7 different heat settings. Select a lower wattage during unoccupied periods. By providing air movement and dry heat, musty, moldy odors are reduced and interior fabric life is maximized. Utilizing a lower wattage also provides winter freeze protection with the bonus of energy savings. 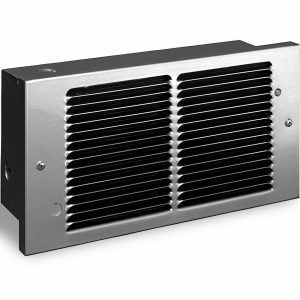 Quiet operating tangential cylindrical (squirrel cage) blower and commercial grade element make the Dial-A-Watt™ the heater of choice for people on the move. 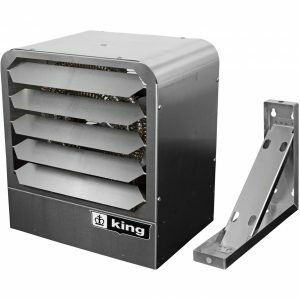 Contractor shall supply and install, DAW Stainless Steel Series wall mounted forced-air electric heaters manufactured by King Electrical Mfg.Company, of the wattage and voltage as indicated on the plans. Ratings: Heaters shall be available in wattages of 250 to 2,250 at 120,208, or 240 Volts. Blower and Motor: A tangential cylindrical blower, delivering 65 CFM,shall be driven by a shaded pole, permanently lubricated, C-frame typemotor with impedance protection and sealed bearings. Motors shall bethe same voltage as the heater. Elements: Element assemblies shall consist of steel sheathed heatingtubes in a furnace brazed, plate-finned, block design. Each sheathedtube shall contain coiled a Ni-Chrome wire embedded in an insulatorof Magnesium Oxide. 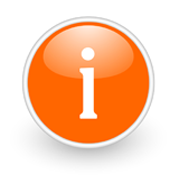 Thermal Overload: Heaters shall be equipped with thermal overloadSmart Limit Protection®, which disconnects elements and motor in theevent normal operating temperatures are exceeded. If thermal overloadtrips due to abnormal operating temperatures, thermal overload shallremain open until manually reset by turning the heater off for fifteenminutes. Automatic reset of thermal overloads,which allow the elementto continue to cycle under abnormal conditions, will not be accepted. Wall Can: The wall can shall be stainless steel and shall contain aminimum of three (3) knockouts. The wall can shall have a depth gaugeor flange mount, and a factory installed Copper groundwire. Minimum4” clearance to floors and 6”to sidewalls. Zero clearance to combustiblesin the wall. Grill: 304 brushed stainless steel, clear powder coating. Selector Switch: Shall provide up to 7 wattage settings adjustable from switch on front of heater. Indicator: Light designates heater is operating. Approval: Heaters shall be listed and approved by UL or equal. Stainless steel, ideal in heating and freeze protection of areas needing periodic hosing down. Extremely corrosive resistant with water tight components.